When you visit Visit, without any doubt, Hanoi it’s a must-to-visit City. Furthermore, if you come by plane probably this it’s your first destination. When you are in this take you time, try to discover every hidden place, every secret and try not to turn with the traffic jam and the quantity of people that is living there. You need to speed around two days to visit the War Museum, Old Citadela, Ho Chi Minh Mausolum, Pagoda Tran Quoc or Temple of Literature. In adition, Hoan Kien and Old Quaters are really good places to visit at weekends. Where I can travel after Hanoi? How to go from Hanoi to Sapa? How long takes the way from Hanoi to Sapa? From Hanoi you can decide where to go without any problem: you will find transportation to almost every point of the Vietnamese geography. It can be the starting point for a long trip to the south (and try to know most of it) or you can continue discovering the wonders of northern Vietnam. The wonderful adjective about this place is not only a subjective opinion. You can find Ha Long Bay, which is considered one of the 7 natural wonders of the world according to UNESCO. 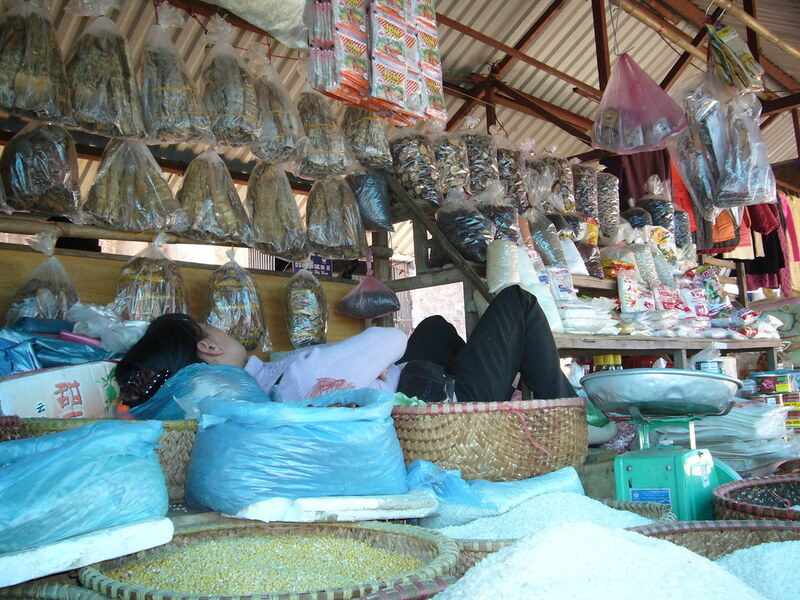 You also have the choice to discover Cat Ba, or the one that we recommend today: Sapa. Sapa is located about 230 km north of Hanoi, one of the points you have to visit if you want to get to see the border with China. Over the years, Sapa has become one of the most touristic points of Vietnam due to the beauty of its landscapes: mountains, rice terraces and good routes for trekking. It is one of those places that you enjoy from the first moment in which you take the first steps there. As we told you before, this it is one of the routes most demanded by tourists. Because of that you have a variety of options to go and that is really easy for us. You can go by train or bus. Important information: Tulico is not operating anymore. Don’t book Tulico with any Hotel, Agency or Booking Office if you don’t want to be cheated. Is one of the most deluxe trains on this route. This train can accommodate 40 passengers with the deluxe cabins, bar and restaurant. This train has 2 seat types including 2 berths and 4 berths. These cabins is designed with individual reading lights, baggage storage, air condition system, wooden-panelled and other comforts. The Victoria Express Train is exclusively reserved for Victoria Sapa Resort’s in-house guests only. It’s a train that have fully decorated carriages with high standard soft sleepers with air conditioning wooden cabins. Has 2 soft berths and 4 soft berths cabin. Each berth is equipped with individual reading lights, baggage storage and spacious trunk for suite case and hand luggage. The train provides also water and cold tower. Carriages reflect the charm of colonial travelling style in the North of Vietnam. The King Express train was named after the firm aim at ” Serving you as serving the King & the Queen on board”. King Express train has 26 berths with superior and deluxe cabins, accompanied by the hospitality of King express train staffs. All berths are wooden-panelled, air-conditioned with individual reading lights, baggage storage. Passengers are served with a drink in the morning upon the arrival to Lao Cai or Hanoi. Superior cabins provide a cozy atmosphere with 4 berths in one compartment, relaxing to read or enjoy an intimate conversation. If you want something better, Deluxe cabins make an intimate space with 2 berths. These cabins are lovingly designed to for those who desire to have the privacy with remarkable interior decor. Fully decorated carriages with high standard soft sleepers with air conditioning wooden cabins. TSC Express has 2 soft berths and 4 soft berths cabin. Each berth is equipped with individual reading lights, baggage storage and spacious trunk for suite case and hand luggage. The train provide also water and cold tower. This is a train with good reputation as a brand, that provides travel train tickets with more experience in railway system in Vietnam. This train will ensure the most convenient trip for visitors to Sapa. Is designed according to modern style, the air-conditioned, the comfort facilities of the wood-panelling cabins will make visitor feel very close and cozy. It is called Deluxe cabin, 4 berth or 6 berth. Passengers have the opportunity to relax. It’s also called “It’s is the cleanest train in Vietnam”. Livitrans is a newly built train connecting Hanoi and Sapa, Hanoi, Hue and Danang. It is considered as one of the most luxurious trains in Vietnam with its equipment equivalent to a high-class hotel. Livitrans consists of VIP and Tourist cabins. There are 6 VIP cabins designed with luxury and courteouswooden. Each VIP cabin includes 2 soft berths Passengers always have travel magazines, newspaper, drink, snack on desk enough for the trip. VIP cabin has fully common light, reading light, air condition system to ensure that you will feel cool, airy and comfortable on train. Tourist ones has 7 cabins, each cabin has 4 soft berths with fully comfort luxe creating a sensation of cozy, convenient in you when you travel with your family of group of friends. This train also has a mini bar on the head of each carriage offering Vietnamese, snack, coffee, tea and drinks. Is a new tourist train without VIP Cabin. It has 2 coaches with 28 soft sleeper included air conditional, designed high quality wood in cabin. This train ensure that all passengers experience the comfortable and cozy sleep. Is one of the newest train in Vietnam, foundation by National Petrol Corporation and People’s Committee of Lao Cai province on April, 2013. But till June, 2014, Chapa Train just began to run Hanoi – Sapa – Hanoi route officially with the new coaches, luxury furniture and all conveniences. 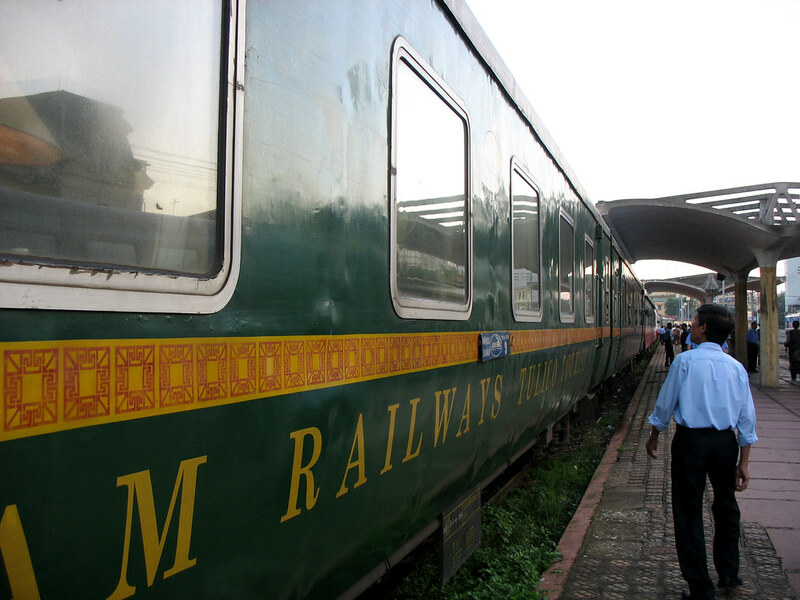 Chapa Train has one coaches (each way) with 7 wood-paneling cabins, air-conditional, reading lights, specially is mattress will be remove after each journey. Futhermore, WC is separate in end of coach. They will serve for free a first-aid box and hot-water. Each passenger has drink, snack, cold towel and toothpaste for free. A train with fully decorated carriages with high standard soft sleepers with air conditioning wooden cabins. Sapaly has two cabins consist of two berth (called VIP) and four berth cabins. Each cabin is equipped with reading lights, baggage storage, flower, mineral water and napkin for free. Sapaly train has a tool and table providing cold, hot water and snack on the carriage. Carriages with high standard soft sleepers with air conditioning wooden cabins. This has two VIP cabins consist of two berth and four berth cabins. The equipment it’s the same than in Sapaly Express. Also has a mini bar on the conner of each carriage offering Vietnamese, snack and drinks. Fansipan Train serve breakfast with cake, cafe and tea with free before the stop in Lao Cai station only. SP1, SP2: express trains with journeys without stops or with very few stops. They have wagons with soft beds in compartments with air conditioning (so-called tourist wagons). This trains also have private compartments for 2 people. SP3, SP4: express trains that make very few stops. They have compartments with air conditioning with soft beds and hard beds. SP7, SP8: express trains with compartments with air conditioning with soft beds and hard beds. LC3, LC4: day trains. Economic class wagons without a bed, only soft seats in wagons with air conditioning and wooden seats in wagons that do not have air conditioning. They do not have a restaurant wagon but as a rule they usually offer coffee, tea and a small snack. LC1, LC2: night trains. Compartments with air conditioning and hard beds (no soft beds). They also have wagons without air conditioning with soft and hard seats. 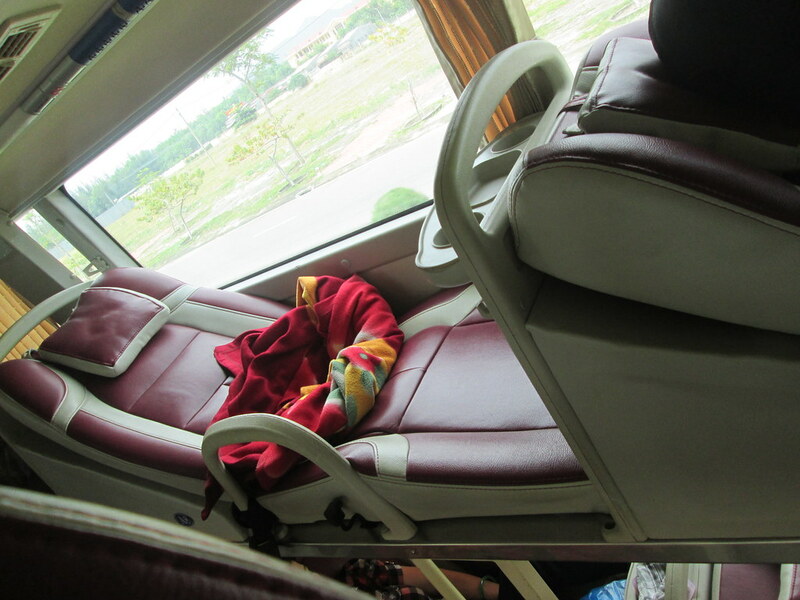 Without doubt, the best option for backpackers is to take a sleeping bus. You can spend the journey sleeping and it is quite cheaper than the train option. In addition, it offers you the possibility to depart at night from Hanoi and start your day in Sapa at 6 in the morning. If you choose for the train option, it would take a couple of hours to get to the center of Sapa. As we have commented previously, the Hanoi-Sapa route is one of the busiest for tourists; both international and local. So when you approach busy dates one of the best options is online booking. You can do it using Baolau o 12go. The total time of the train journey from Hanoi to Lao Cai (Sapa) is 8 hours. Once we arrive by train to Lao Cai, located 40 kilometers from Sapa, it is necessary to take a bus or a private transport to get to Sapa. If you choose the bus, the journey will take an extra hour. If you want to hire a private vehicle will cost you around €25 and takes practically the same time. The best option, the journey is quite comfortable and faster since the buses go direct. The trip usually lasts about 5 hours and a half including several stops, especially those without a bathroom (which are the majority). In some you will see that they arrive between 2 and 4 in the morning, they stop at a town square and people can continue to rest until 6 – 6:30. You enjoy a little break for a few hours, quieter than when the bus is running. This is a very important decision, because it influences direckty in the kind of experience that you want to live in northern Vietnam. According to Tripvadisor, there are about 80 hotels and 125 restaurants in Sapa. So in the end, this city has been adapted to tourism, and you can live the purest “western” style experience. Then stay in authentic 5 star hotels with heated pool and views of the mountains and rice terraces. Incredible and more exclusive because the price. In addition to these hotels, there are 156 hostels, which is always a very recurring option for cheap accommodation and to meet new people. And, finally, there are 152 special accommodations. And, this is what we think is the best option to discover the Hmong culture at its best. Many of these families live off tourism, especially in small villages they have no other source of income. here was a time, which still persists, in which the Hmong are dedicated to trying to sell their handmade objects as a souvenir to tourists. Currently, what is being promoted, and they are aware of it, is that it works very well to open the doors of their home to tourists. If you leave the town of Sapa, you will find numerous villages and communes throughout the surroundings. Many of these people are going to offer you sleep with them and, you must do it, if you are looking for a complete experience. This is the best way to discover what they do in their day to day, how they think, what problems they face, what they eat … And enjoy their courtesy and kindness! Because in addition to discovering a new culture, you have the possibility to make new friends. But it is a privilege, to be able to scape from a more populated area, spend the night in a mountain town and be awakened by the sound of nature. Undoubtedly, an unforgettable experience that we strongly recommend. You can eat and / or dine with your family, sleep as they do, or move along the same routes as them (yes, not with the same ease). In addition, it is a good option to ensure that they have a good source of income and that their children can go to school. In short, we recommend it because it is a way to live a different experience at the same time you help a Hmong family.